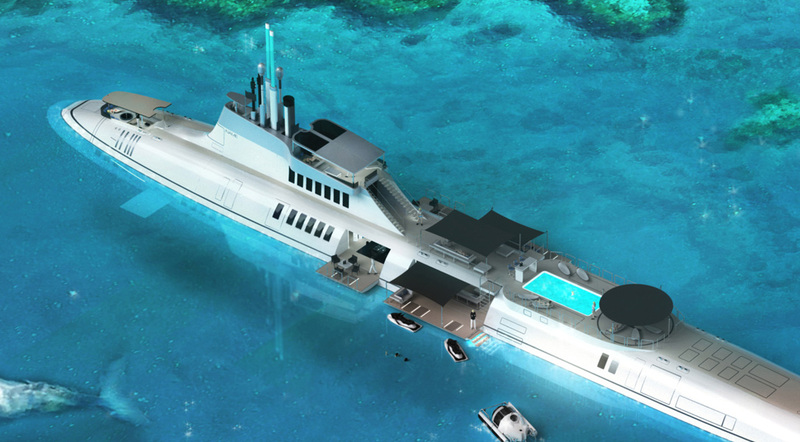 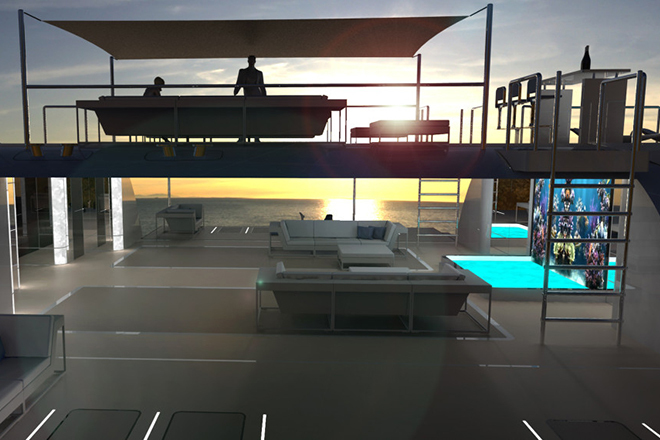 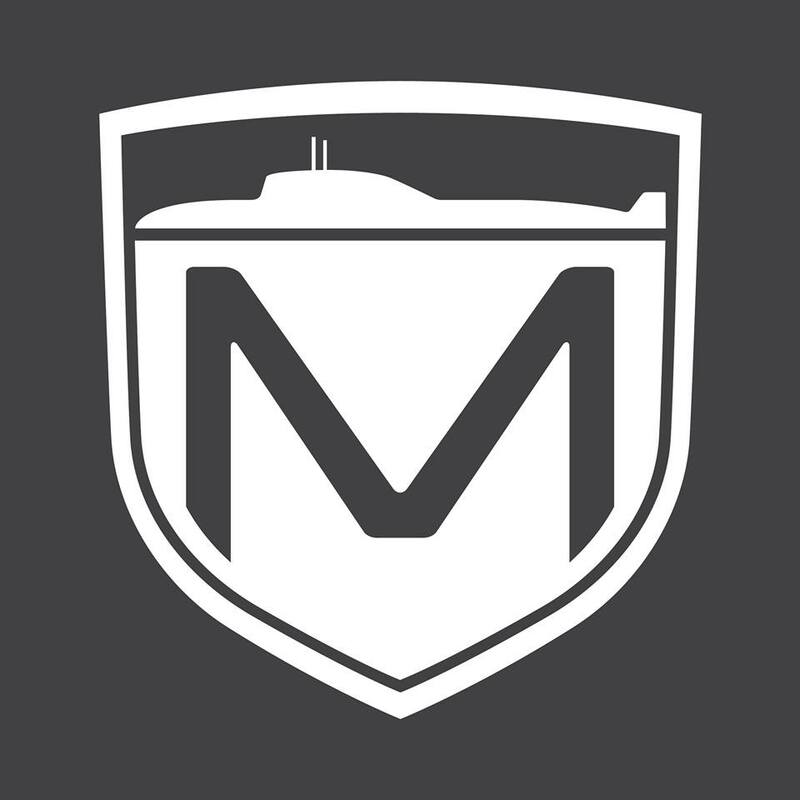 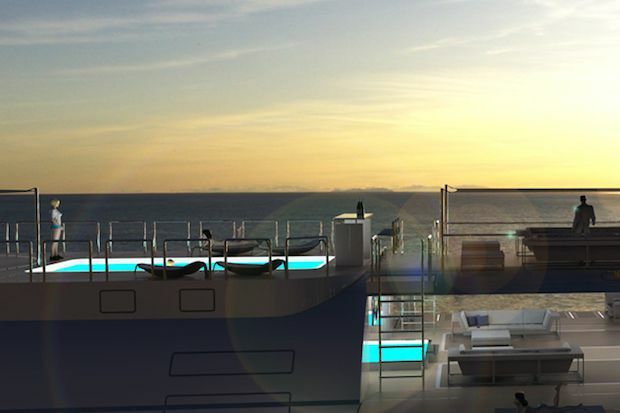 MIGALOO PRIVATE SUBMERSIBLE YACHTS offer the world's first private submersible superyachts. 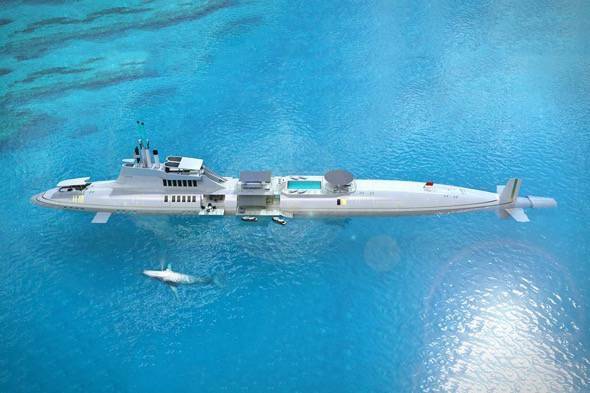 The yachts take the concept of privacy to a whole other level, as they can remain submerged both at anchor and when cruising between destinations. 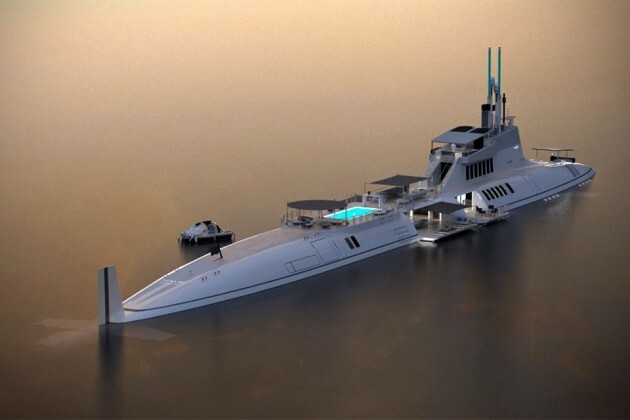 Boasted by Migaloo as the world’s largest submersible superyacht, the 738-foot M7’s design is based on the United States Navy’s Zumwalt-class destroyer. 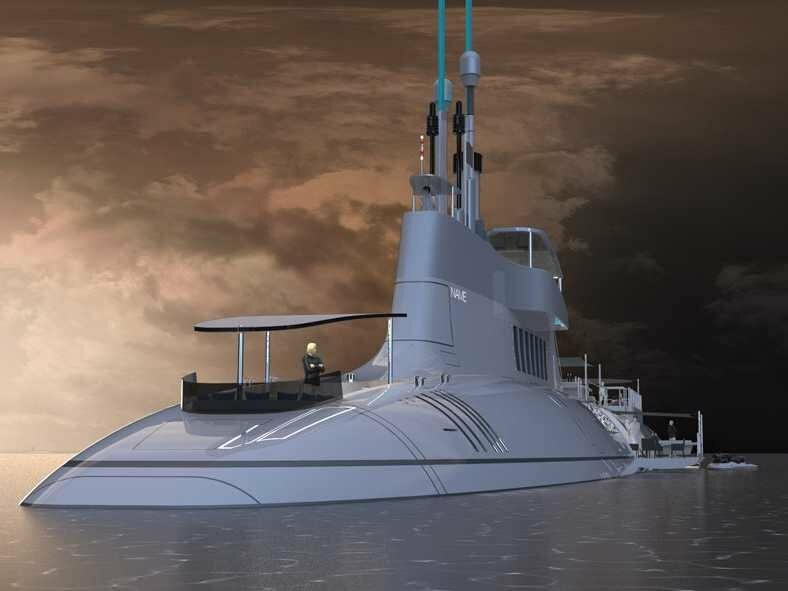 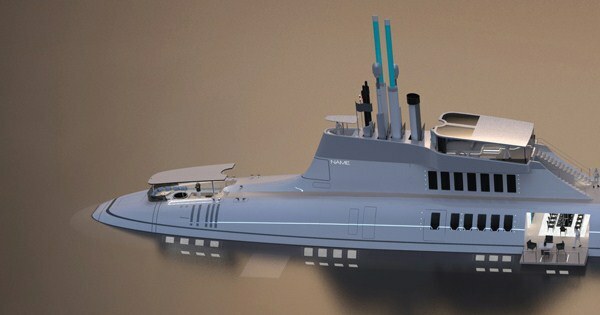 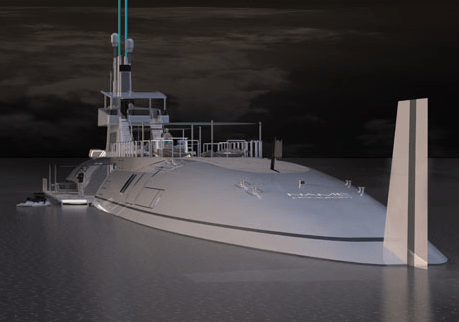 It is capable of 40 knots on the surface and 20 knots underwater (for when seas get rough) and, as with the other models, submerging will keep passengers in a depth of luxury that would make even the Nautilus seem substandard.